3Play Media’s round trip integration with Vidcaster allows you to add closed captions and an interactive transcript directly from your Vidcaster account. When a transcription request is made, your video is sent to 3Play Media for processing. 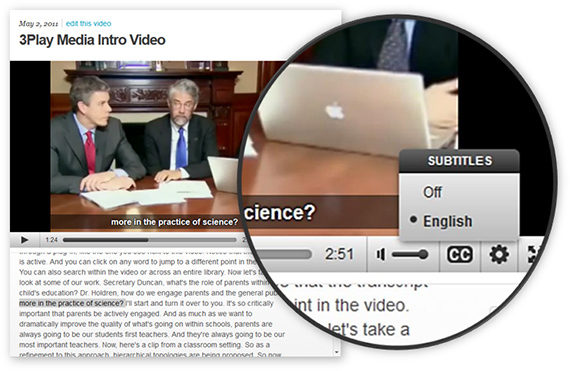 Upon completion of the transcription process both the transcript and captions are automatically sent back to Vidcaster. Billing is handled through Vidcaster. You can also create captions and upload them to Vidcaster without using the integration.